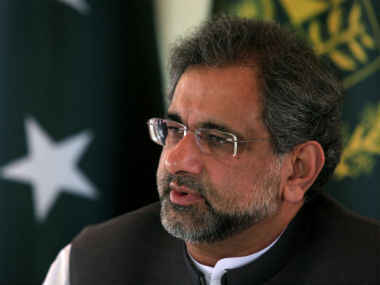 ISLAMABAD: After investigating the Liquefied Natural Gas (LNG) scandal, the National Accountability Bureau (NAB) has launched two new inquiries against former prime minister Shahid Khaqan Abbasi, it has been learnt. Sources disclosed to Pakistan Today that the Bureau has gathered solid evidence against the former premier and initiated two more inquiries. They said the first inquiry surrounds the appointment of a former head of Pakistan State Oil (PSO) while the other is about the former government’s alleged negligence in not appointing the managing director (MD) of Oil and Gas Development Company Limited (OGDCL) in its five-year term. The NAB has launched one inquiry against the appointment of former PSO MD Sheikh Emranul Haq who has completed his job tenure, sources said and added that a process to fill the top position of PSO was initiated in 2015 and the summary of Haq was rejected the first time. Sources said upon receiving the summary of Haq, the then petroleum minister Abbasi, in a meeting, directly got ex-PM Nawaz Sharif’s final approval to appoint him as the PSO head. However, Fawad Hassan Fawad had raised his objections on the appointment of Haq as PSO MD, sources said, adding that the then principal secretary to PM Nawaz Sharif had pointed out that the appointment was a case of conflict of interest as Engro was given contract to construct LNG terminal and a guy from the same company was being made the head of PSO. Fawad had argued that the appointment will become an issue for the government, according to sources. It was also learnt that the other inquiry initiated by NAB Rawalpindi is about no permanent appointment of the head of OGDCL despite the passage of five long years. They said that though a process to fill the top slot of OGDCL was initiated three times, former PM Abbasi did not appoint regular MD for unknown reasons in the said period. It is pertinent to mention here that NAB Rawalpindi is currently conducting an investigation against former PM Abbasi for awarding construction of LNG terminal contract to Engro, which is estimated to allegedly cause $2 billion loss to the national exchequer for the next 15 years. Similarly, issues related to the expensive LNG import from Qatar is likely to be made part of this inquiry and ex-PM Abbasi might face a hard time ahead as NAB has expanded the scope of its investigation against him.